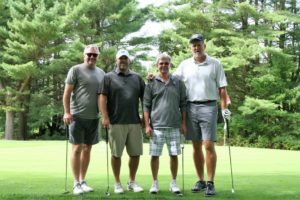 68 golfers participated in the 19th annual WMNLA Golf Outing at the Grand Haven Golf Club.. Everyone enjoyed a day of wonderful weather, companionship with peers, good golf, and raised over $3000 for WMNLA Scholarships and Education Grant Funds. 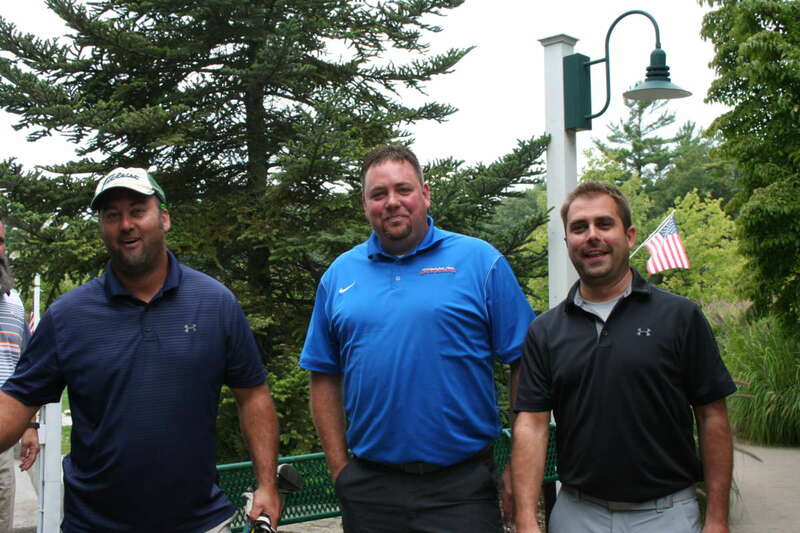 The winning golf team was Mattson Landscape. 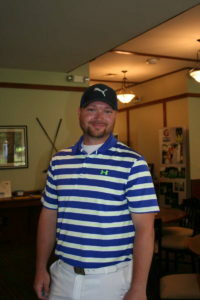 Eric Gertiser from Weesies Brothers Farm & Garden Center also enjoyed a hole in one. WMNLA would like to thank the following companies for sponsoring meals, holes or providing prizes. Event Sponsors: Bosch’s Landscape & Lawn Specialties and EcoGreen Supply. Snack Sponsor: Evergreen Acres LLC and Alta Equipment Company. 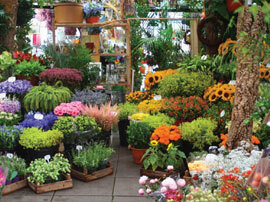 March Garden Day: A Celebration of Gardening! Over 200 excited gardeners, speakers, vendors, members and volunteers participated in March Garden Day: A Celebration of Spring. March Garden Day was held Saturday, March 10, 2018 at the Grand Haven Community Center. 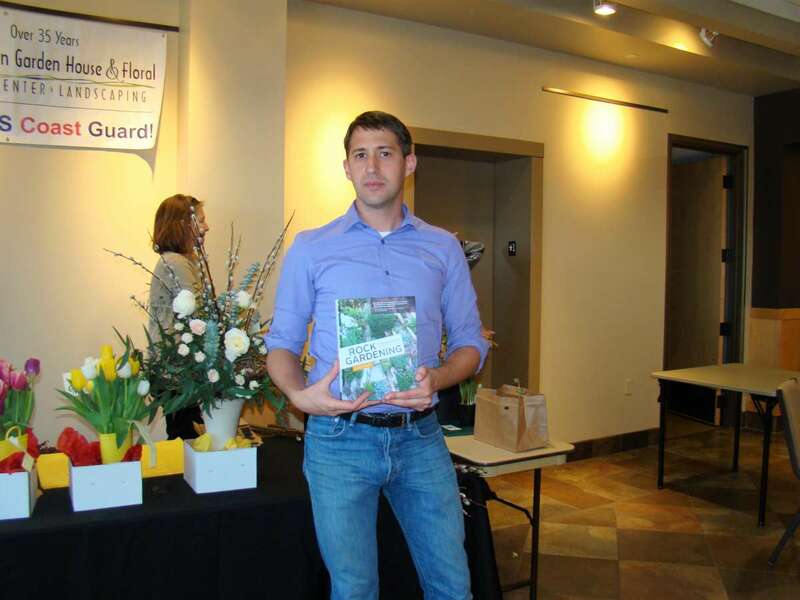 March Garden Day is a daylong seminar featuring key note speakers, WMNLA member speakers, vendor booths, a display garden and a silent auction. Profits from March Garden Day support the WMNLA Scholarship Fund and Education Fund. Monies are also available to members for CPIG and Master Gardener scholarships. This is the second year that March Garden Day was ‘green’. All paper, food waste and drinkware were biodegradable and composted by Spurt Industries. All paper and cardboard was recycled, water bottles were eliminated and replaced by water stations and biodegradable cups. 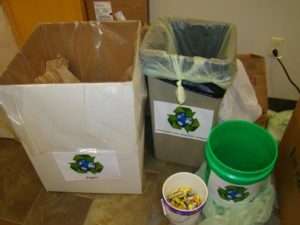 Our total non-recyclable waste and compost was less than a small office waste basket. We would like to thank the March Garden Day Committee who dedicated many hours of planning to produce this annual event for the community: Lee VerSchure, Kay VerSchure, Reini Moser, Paul Kiefer, Audrey Eaton, Allison Jesky, Jude Hofmann, Chritina Hipshier, Scott Jacob and Pam Cater. We would also like to acknowledge the help of the many volunteers who were enlisted to help with the silent auction, act as moderators, food waste monitors, and registration hosts among many other duties. We would also like to acknowledge the board of directors (Chris Howe, Ryan Weesies, Keith Hogan, Allison Jesky and Russ Hillman) for their help moderating break out sessions and providing support with the silent auction, and Allison Jesky for the plant i.d. quiz. Thanks also to Gardens Alive! Farm, Evergreen Acres,and Hortech for providing plant material, growing space, and expertise to make the beautiful indoor landscape and auction. 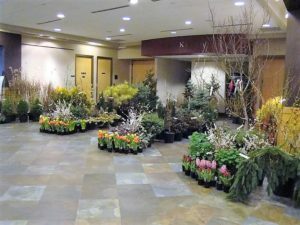 Members who showcased in the Expo included Grand Haven Garden House, Bartlett Tree Experts, Landscape Design Services, Specialty Gardens, Jonkers Garden, Weesies Brothers Farms, Blackbird Farms, Chips, and Blue Horizon Nursery. The Bookman and MSU Extension also had booths. WMNLA is a “green industry” non-profit organization whose members are West Michigan landscape designers and contractors, landscape management companies, wholesale nurseries and retail centers. Professionalism and integrity in all business practices. Promoting the general welfare and prosperity of all association members. 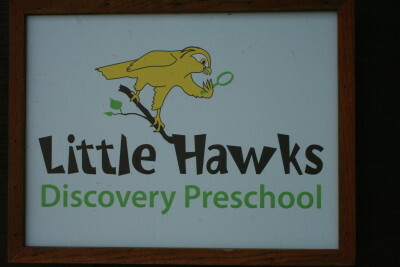 Encouraging environmental responsibility and public trust. Increasing awareness of this industry’s contribution to the quality of life. Providing workmanship, service and materials of the highest quality at a fair price.